If you want your brand’s content to stand out, it helps to learn from the best. What makes a piece of content great? For one thing, it needs to be engaging. The average consumer in the US visits almost 400 websites per month, according to the 2017 State of the Creator Economy Study (SOCE). So many websites means things can start to blend together. If you’re looking to produce highly engaging content that stands out, take a look at these examples of content marketing done right. Cabot Cheese is made from milk produced by the 1,100 family-run farms in its co-op. The cheese appeals to people who like to know where their food comes from, and who want to feel like they’re helping small businesses. Cabot has several great pieces of content marketing on its website, one of which is an infographic introducing visitors to the types of cows behind the cheese. The content really helps people get to know their food. At first glance, you wouldn’t even notice that Van Winkle’s is created by the mattress brand Casper. It presents itself as a magazine all about sleep. 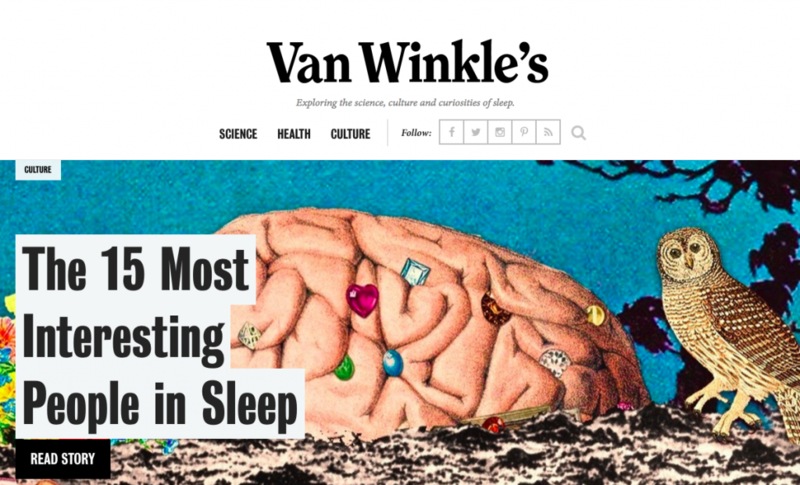 The sleekly designed site is full of interesting and unusual articles about the science of sleep and the effect sleep has on people’s relationships. Always’ #LikeaGirl campaign is a massive, multi-pronged approach to content marketing. The campaign has a solid mission and good message: Keep girls’ self confidence up so that they keep on playing sports. Content for the campaign is both online and off, including videos, tweets, posters, and blog posts. Nowness is a global video channel available in several languages. LVMH is the brand behind the site, but you’d have to dig pretty deep to discover that. Since it launched in 2010, the site has won three Webby Awards (including in 2017 for Best Cultural Website) and a CLIO award for best interactive website in 2010. Health care and information about health can seem a little inaccessible. Health Essentials, a blog from the Cleveland Clinic, tackles common questions about health, wellness, and health care in a fun and easy-to-understand way. On April Fool’s Day in 2016, Hamburger Helper released a five-track mixtape called “Watch the Stove.” The move was unexpected, to say the least, but the results were pretty amazing. A few days after the release, the mixtape had been listened to more than four million times, AdWeek reported. The secret to the content’s success was creating music (in this case rap/hip-hop) that people would actually want to listen to — whether it was about a packaged casserole mix or not. Stitch Fix is an at-home styling service. When customers order a “fix,” a stylist picks out clothing for them and sends it to the home. But, a stylist has to know what a customer likes and what will fit before sending the clothes. To help streamline the styling process, when a new customer signs up for the company, she or he takes a styling quiz, answering questions about taste preferences, fit, and so on. 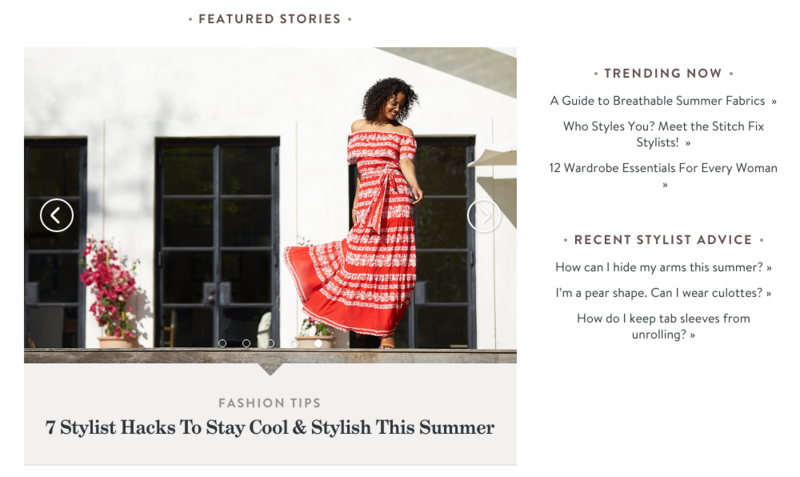 The style quiz is just one aspect of content marketing that Stitch Fix does well. The company also has a blog full of fashion tips and outfit ideas. Burberry might make lots of different types of clothing, but they are primarily known for one thing: the trench coat. The brand’s Art of the Trench is an interactive Tumblr that lets users upload pictures of them wearing the iconic coat. West Elm’s blog Front + Main is full of tips and advice on home design and decorating. It also features real-life examples from West Elm customers, tips for people who own creative small businesses, and how-to guides. If watching that Sarah McLaughlin Humane Society commercial has you weeping, get ready to reach for a box of tissues. The Humane Society of Silicon Valley has put together a site called Mutual Rescue. 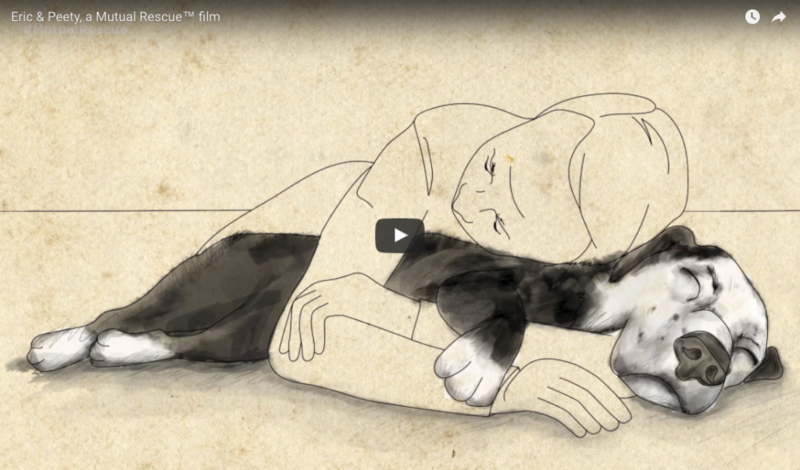 Featuring a film called “Eric & Peety,” which has been viewed more than 88 million times, the site aims to show that adopting an animal improves a human’s life just as much as it improves the animal’s life. A Tesla might be out of reach financially for the majority of consumers, but Tesla is trying to change that perception, and it’s doing a pretty good job of it through Customer Stories. The website highlights everyday people who drive Tesla cars. There’s the mom of twins, the college student who plans on buying a Tesla after graduating, and the eco-friendly family who drives one. Each of the stories on the site help to put a face behind the brand and show people that, yes, real people do drive Teslas. Blue Apron is a meal service company that sends recipes and pre-measured, fresh ingredients to people’s doors. 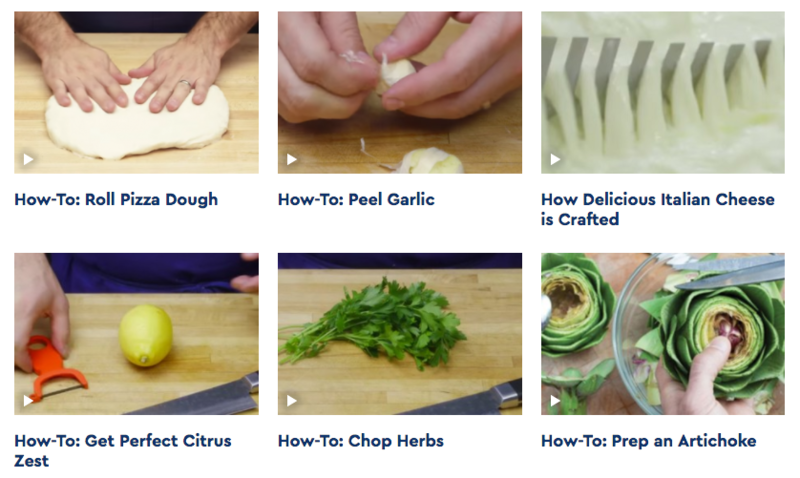 Since the goal of the company is to get people to cook at home more, it makes sense that it has a series of videos showing people how to perform certain techniques. Furthermore, a lifestyle blog from fitness center chain Equinox, is a good example of how to produce content that covers a range of topics while still staying on message. The blog contains workouts, style tips, interviews, and scientific information. It’s all beautifully presented and easy to navigate. Wild About Whales was created to encourage people to visit the coastal parks in New South Wales in the winter, not just the summer. It used whale watching as a hook to get people to come to the parks. The interactive site includes a map of the latest whale sightings, as well as a map with the top spots to see a whale. Content marketing that explains how to do content marketing well might seem a bit meta, but that’s exactly what Wistia’s Video library is. The library is full of short, engaging videos offering advice on creating videos. What Is Snapchat Content Marketing?